Hey lovelies! November is almost over. 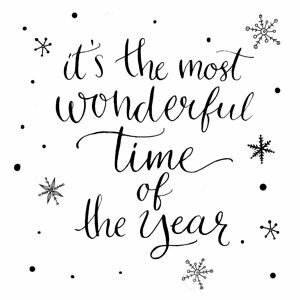 It’s almost time to get our Christmas jumper out, shove on a cheesy Christmas film and eating some homemade gingerbread men! It’s leading up to Christmas day at rapid speed. Lately, I’ve been thinking about how different Christmas used to be, before I left home and started a family. There is such a massive change! This post in no way at all is a “I wish Christmas was the way it used to be, I wish nothing had changed .” Instead it is more of a reflective post! So, I wanted to share with you the things I miss about Christmas. The feeling of magic- my mom put stockings at the end of our beds from our first Christmas. Waking up and opening our stockings together before waking mom and Dean up was so magical. Even when I was 18 I was overcome with the most amazing feeling. The whole day was about family and spending time with the people you love. When I was living at home and was in a relationship with Gareth I’d spend the morning at my moms and then go to Gareths in the evening, the next year we had moved in together and it was still magical but a new type of magic. Not having so much responsibility on the day – I was never expected to get involved with the cooking when I was younger, my job was more of playing with toys and keeping the younger ones entertained whilst mom and Dean cooked. Spending time at my dads – I’d always go to my dad’s from boxing day until new years eve. I always loved it. Boxing day was basically a second Christmas day. My dad and stepmom would cook us a dinner whilst me and my younger sisters would play on the Wii and with the toys we had got. It was always so fun. Lately I’ve really wanted to buy a Wii or buy Bioshock for the Xbox because I remember dad playing that game and showing us how to play. Doing secret santa with my friends – on the last day of school, my friends and I would all dish out our secret santa presents to each other. It was always so funny to see what we had bought each other. It was something we’d always look forward to. Spending Christmas eve with my family – we’d always sit around watching films and have a picnic spread for dinner. We’d spend most of the day in our pyjamas and then we’d have fresh bedding, a bath before bed and place our stockings at the end of our beds. We’d get into bed and watch a Christmas film. It was a film we’d be watching since I was younger. These are a few of the things that I miss from being younger. Now I’m an adult and have my own family, I am learning to make Christmas magical in our own way. Me and Gareth are trying to find our own traditions for our babies. I’d love to hear what you miss about Christmas from when you didn’t have to adult! Leave me a comment!